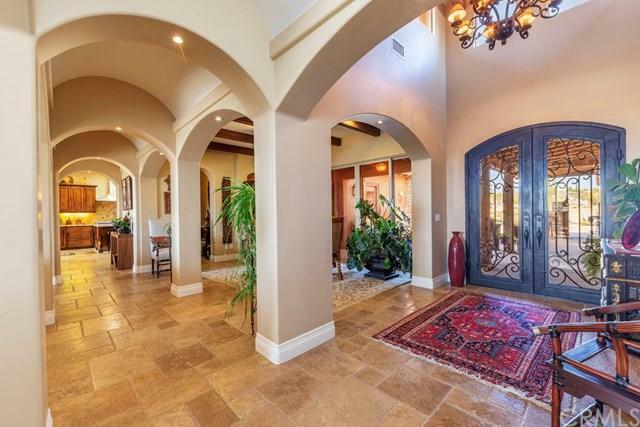 Stunning Mediterranean Villa on 4 acres in the Joshua Tree area with fantastic views and quiet seclusion within the fenced, walled and gated boundaries. 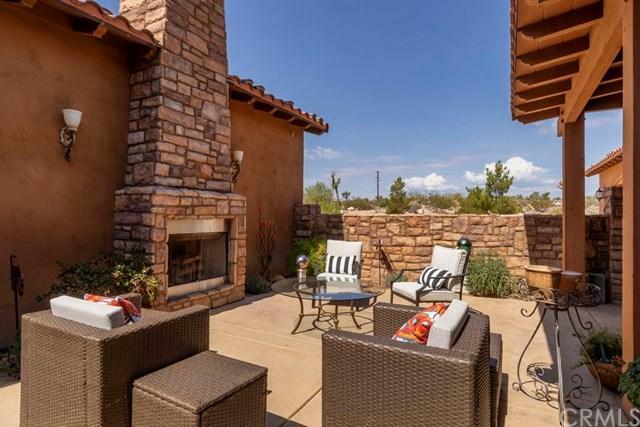 Features include a Casita with separate entrance and large walk-in shower, 4 bedrooms plus bonus office/den, master suite with sitting area, pellet stove, double shower, spa waterfall tub and huge closet with built-ins. Kitchen has dual ovens, skylights, granite island, extra tall cabinets, walk-in pantry and butler's pantry with wine fridge. Also features open beam ceilings, beautiful wrought iron doors and chandeliers, two garages for a total of six spaces, central vacuum system, 2 tankless water heaters, 3 fireplaces including two pellet inserts and an outdoor wood burner. Salt water pool and spa has beach entry, waterfalls and covered outdoor kitchen with built-in BBQ and fridge. Lots of covered and uncovered patio areas in front and back, breakfast room off the kitchen with French doors to the patio. Also has 2 Master-Cool swamp coolers and dual zoned A/C and heat units for year round comfort and efficiency. Solar energy system is fully prepaid at no cost to the buyer and included in the sale. Incredible views all around and close proximity to Joshua Tree National Park and the Palm Springs area. 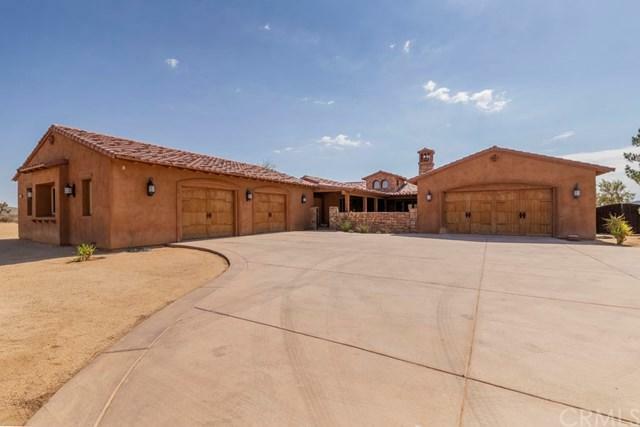 A very special house in a very special location with all the high desert has to offer. Sold by Bill Osgood of Osgood Realty, INC.